The Alliance Tournament has two different brackets/ Undefeated & Elimination. As long as you keep winning, you remain in the Undefeated bracket. Once you lose a match however, you are placed in the Elimination bracket, giving you a chance to renew your glory. But once you lose in the Elimination bracket, you're out the Tournament! If you missed a match, don't worry, ISD has stored them on their video channel: Interstellar Service Departement! Their video logs are stored per system, per day. As noticed above, 7 Flagships met their untimely end as well, meaning these specific ships may no longer be used by their team for the rest of the tournament. Big thanks to capsuleer Aliventi of Pandemic Horde for the Flagship kill list! I thank the organisation of the NULL-SEC.COM website for storing this data for future use! It offers a great overview & helps in assessing good teams & team surprises. Their site offers much more then just Tournament overview however. It includes news, fits & a market overview section, so enjoy browsing their site! Red Team = Winner's Team! Did you know that during the first weekend, Red team won nearly all matches? This is especially noticeable on Day 1 in both systems & Day 2 in the PE1-R1 system. The only exception to it is the Day 2 competition in JB-007 where it was mostly blue teams that won. On the first day, in the "Black Legion. vs Warlords from the Deep", the WotD team deployed a very rare & expensive ship! Namely the Malice, an AT 9 tournament prize ship! The function of the ship during this match was bait & it worked greatly. The BL team primaried the frigate, trying to shoot it down, but they failed, giving the victory to the Warlords of the Deep! The Malice survived this ordeal. On the second day, the Warlords of the Deep used two Malice frigates against their opponent The Methodical Allaince. This expensive deployment was successful & they once again won the day! On the same, there was another team that deployed a Malice, namely The Camel Empire who sent theirs against the Agony Empire team. Once again with success. Some info about this unusual frigate, the Malice is a design from the Amarr Empire that was designed exclusively for the capsuleer winners of the 9th Alliance Tournament.This rare frigate includes state of the art technology in both defense and offence, providing enhanced armor resists and extended power & range to small laser turrets. It also comes with enhanced energy drain & neutralize systems, making it a lethal opponent on the battlefield. So far the Malice is the only AT prize ship that's been fielded this Alliance Tournament. Most teams have selected a flagship for use. These ships can circumvent certain rules on fitting, but must be approved first by the Tournament. Also, the team may only use 1 of these fitted ships for the whole tournament, so if they are destroyed, that team cannot use their Flagship anymore! In this case, there's quite the difference of Flagships taken out. The first day saw 6 of them down. Apparently, this made the teams alot more careful in the next day, as only 1 went down then! Bad news is that there have been two rule violations. both of them not picked up by referees or rule checkers until after the match was over. 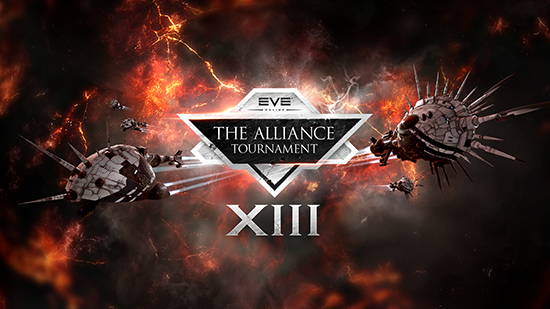 You can check Alliance Tournament rules here: 13th Alliance Tournament Rules. In the match "Nulli Secunda vs That Escalated Quickly", NS managed to blow up the Barghest Flagship. Shortly after this, killmail observers spotted the usage of a Capacitor booster meta module, which may not be allowed, not even under the Flagship exception rules. Keep in mind, That Escalated Quickly is a new team & this is their first tournament. On top of this, Flagship fits must be submitted at least a week in advance in order to verify that these fits don't break the fitting rules for them. The main culprit behind this is the rule 'Faction Capacitor Boosters are allowed' which refers to the capacitor booster charges, not the capacitor booster module! Hopefully an update to this rule will make it more clear for future new teams in the tournament & those who check fits. In the end, That Escalated Quickly was given a warning, a fair ruling considering this was their first Tournament, that they lost the match and because the meta module should have been picked up during the Flagship fit submission. In the match "Together We Solo vs Gone Critical", the TWS team warped in at 100 km while the rules state that the max warp in distance is 50 km. On top of this, it was not picked up by the referees at the time. To make matters worse, the TWS team won this match. Considering that weapon effectiveness is highly range dependent, this can be seen as a large unfair advantage for the TWS team. Despite this, the TWS team was given a warning, despite the fact that GC could have won if the match was played out by the rules. Note, this ruling was first discussed between the TWS team & GC Team before made public. Neither team opposed the rulings. In this case, a rematch would have been more fair, as the unfair advantage very likely skipped the match in favor of TWS, who did won it. All in all, the matches were fun to watch, seeing some quick team collapses, but also hard stances of those who won't give up, fighting tooth & nail for their matches. There were some unusual setups as well, with the Curatores Veritates Alliance gaining alot of attention, as many expected them to field Amarr ships due to their allegiance to the Amarr Empire. yet they surprised everyone by bringing a Vargur ship team! Seeing a Malice in action was a rare but great sight as well! Cheers for Warlords of the Deep risking one in their tournament. It's a shame about the rule violations, but the teams involved did agree with the ruling outcomes, so that should be the final word on it. Hopefully, the Alliance Tournament management learns from these two cases, so that in the end they'll have a positive effect for future matches. After all, almost all matches were fought fair & people had a blast! Lets focus on that instead of two negative cases!